If you are a frequent reader of my blog, then you know how much I LOVE thrift stores. I visit Goodwill weekly, and not because they ask me to, but because more people tend to donate there because its easy, so I tend to find alot of good things. I think for me, the exciting part is not knowing what I may luck up on when I shop. It’s a treasure hunt:) I know, I know… I need to get a life. But this is my life…so…. Anyway, I am teaming up with my girl Alaya, from Behind the Big Green Door and we are hosting a Thrifting and Flea Market Party on social media and we want you to participate! 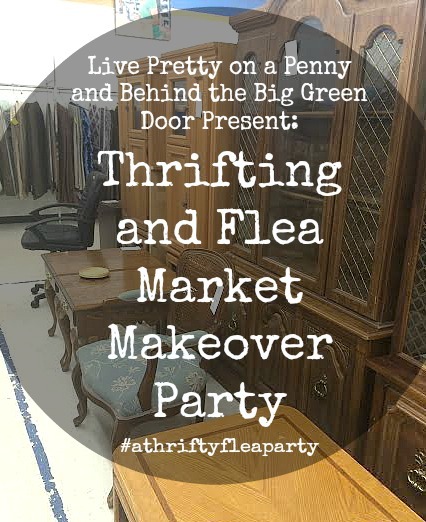 So go ahead and head to your local thrift store, flea market, or yard sale and find one item to makeover/re-purpose and hashtag your photos with #athriftyfleaparty on Facebook and Instagram and tag both myself on Facebook and Instagram, along with Alaya on her Facebook and Instagram between now and November 15th! Some of our faves will be featured on our blogs! Got a past item that you already completed and showed, but want to go back and add the hashtag #athriftyfleaparty? That’s cool too! However, if the picture is more than a couple weeks old, Instagram won’t allow the photo to show up in the hashtag gallery, even if you go back and hashtag it. All you have to do is repost the pic and add the hashtag #athriftyfleaparty! Thats it! Now for the rules. lol. Nothing major. Just make sure that the item that you hashtag and tag us in was purchased from a thrift store, flea market, or yard sale, or I will even let a curb find slide. 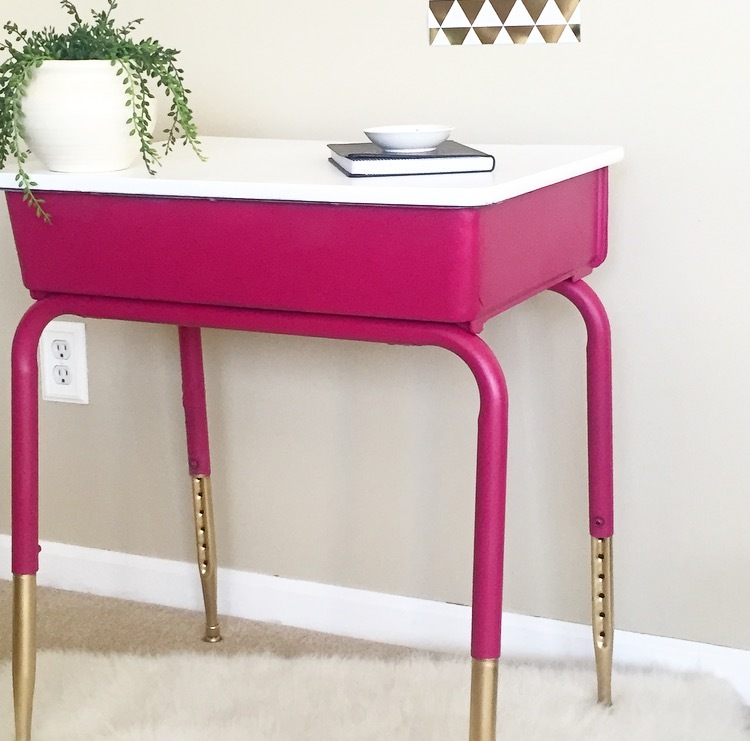 As long as the item once was once loved, and now has a new home with you! There are no pricing restrictions, just all fun! Here are a couple of items that I am considering making over. If you follow me on IG, then you may remember when I purchased these items. To be honest, they haven’t been touched since. 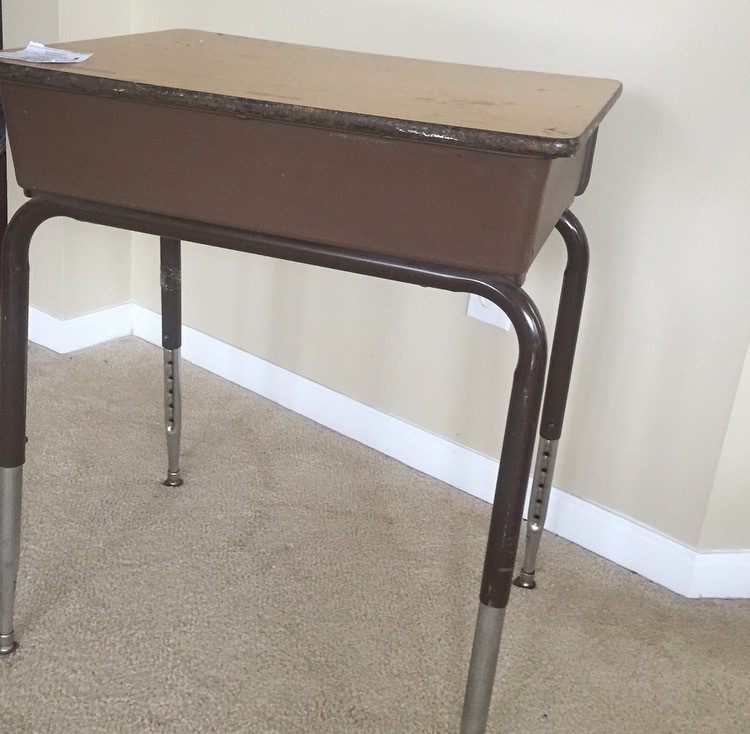 Alaya posted last week of an old school desk turned pure fab, which was an item she bought from a Thrift store. I hope you guys are excited to party with us! Look out for social media reminders over the next few weeks. I can’t to see what you guys tag us in! Sounds like so much fun. Can't wait to see what people find. I used to thrift all the time, but kinda got away from it in recent years. Now you have me itching to see what I can find. Not sure if you've been, but My Favorite Place was always one of my places to search…always found something for a steal.